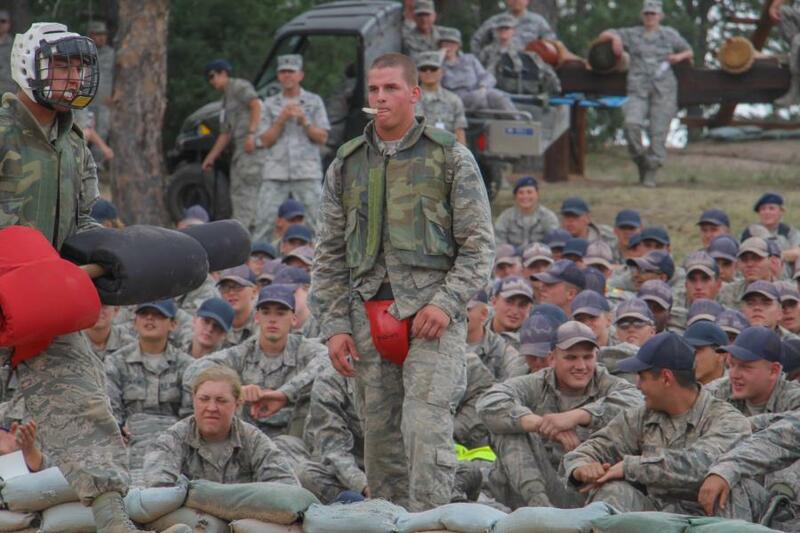 As we used to say in my Air Force Days, all that remains for the Class of 2020 in Jacks Valley is a wake-up. 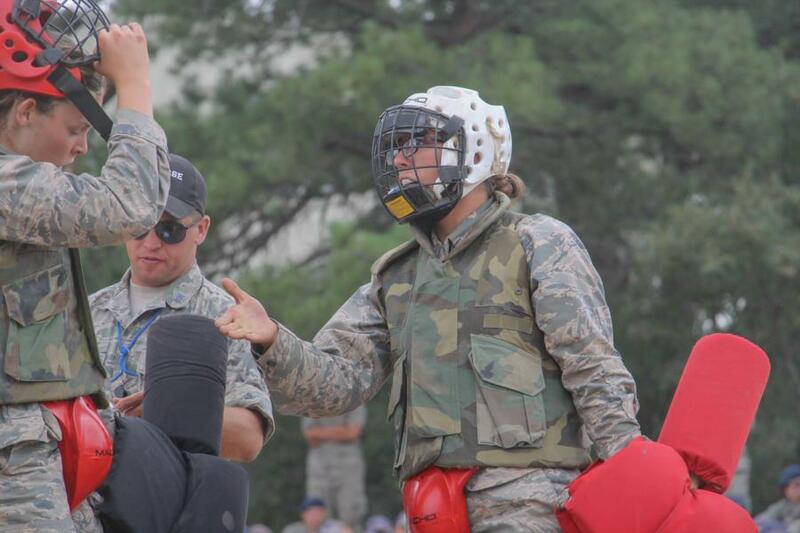 A big WebGuy Congratulations to Basic Cadets Kirlee Rix from Flying Tigers and Josiah Klingenberg from Cobras. Winners of this years Big Bad Basic Pugil Stick Competition. So tomorrow is the March Back. For those of you in the local area who want to cheer the Basics on, they are schedule to march back starting at 9AM. We expect them to come out the West Gate of Jack's valley. That is the one closest to Parade Loop which leads past Clune Arena. Pretty much the reverse of the March Out. I say all of this because everything is always subject to change. If you are planning to come out in person, be sure to be early because they will close the road. I expect the parking to be in Clune Arena parking lot. Follow the same guideline as for the March Out. Once they get back to the Cadet Area tomorrow, they will have lunch and then spend the rest of the day meeting with their Academic Year AMT (Academy Military Trainers) and AOCs (Air Officer Commandings) Those are the permanent party leaders of their various squadrons. Thursday will include a USAFA Heritage Tour led by their BCT Cadre, and a Capstone Event for each squadron. The Capstone events are staggered throughout Thursday, Friday, & Saturday. To be honest, we don't have a lot of info about either of these activities, but we will get some photo coverage and then we will all know. Friday is the Commandants Luncheon which is the official concluding event of BCT. At some point they will practice the Acceptance Parade. That is NOT a public event, so we cannot give out that info. Saturday night, the Basics move into their academic year squadrons. Some of you will ask, if you can expect phone calls, or if they will get their phones back. As I said in an earlier blog entry, each squadron will have their own rules. Some of you may get phone calls, and some of you won't. The rest of the Cadet Wing will be returning at the same time, and since the Basics are still, well, Basics the rest of the wing who were not BCT Cadre are not allowed to interact with them. The Basics will still have to be escorted everywhere until after the Acceptance Parade. So, that's what the rest of the week will look like. Tomorrow, I will have a detailed blog entry about the Acceptance Parade. Where to sit, what to where, etc. Until then, enjoy all photos from today. They are all up in the Big Bad Basic Gallery and are not separated by squadron.